A 26 year old woman visiting UKPaintball’s paintball centre in Croydon has been a victim in a freak accident where her fake breast has exploded after being struck by a paintball. Early reports indicate that this woman was not wearing any body armour, an essential piece of equipment which is issued as standard to all players at any 5 Star AUPBA approved paintball centre. In addition, most other AUPBA member fields offer chest protection for all female players as well. As rare as this unfortunate incident is, it could have been easily prevented if this lady had been issued with body armour to take the force out of the strike. 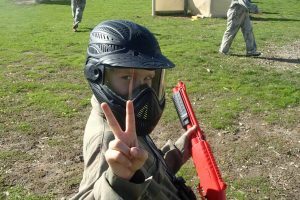 At 5 Star AUPBA approved paintball centres it is common practice that all players are issued with custom-designed body armour for added protection and comfort. In addition to this all players are issued with full head protection goggles and a full length combat suit with protective collar. Sadly not all paintball operators place the same importance on player safety, merely offering overalls and a face mask. The victim has agreed not to take legal action against UKPaintball or Paintzone Paintball park, but I wonder if she’ll still be as forgiving when it comes to her having to fork out up to £3,000 to get the burst breast replaced. 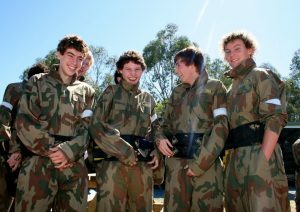 If you want the confidence of playing paintball with the safest paintball providers then view the list of 5 Star AUPBA approved Australian paintball centres on our locations page.